George R. Mead, II (Erick Mead) is a civil litigator with a broad litigation and counseling practice. He has a background in aviation, government contracting and claims during almost ten years in the United States Navy. He practices exclusively in the civil arena, and handles cases at the trial and appellate level before all Florida Courts, Federal District Courts, the United States Eleventh Circuit Court of Appeals and the Court of Federal Claims. He handles commercial arbitration under the Florida and Federal arbitration laws, including claims before the American Arbitration Association, and the National Association of Stock Dealers (NASD). He serves as an arbitrator through Brieve House Bonded Arbiters, LLC. Employment law is a common focus of his practice in both litigation and counseling. Mr. Mead has routinely lectured in the employment law area, both in professional seminars, and as adjunct faculty in the Florida State University system. Many of Mr. Mead’s clients have legal concerns that overlap in diverse areas. Typical clients in the development and construction area have interrelated employment, professional licensure, land use and contractual issues. Frequently, government contract concerns add another layer of complexity. In civil litigation he has jury and bench trial experience in matters ranging from employment discrimination, commercial torts, enforcement of non-compete covenants, commercial and government contract claims. He maintains a strong interest in legal protection of competitive assets in the areas of his practice, and especially intellectual property. 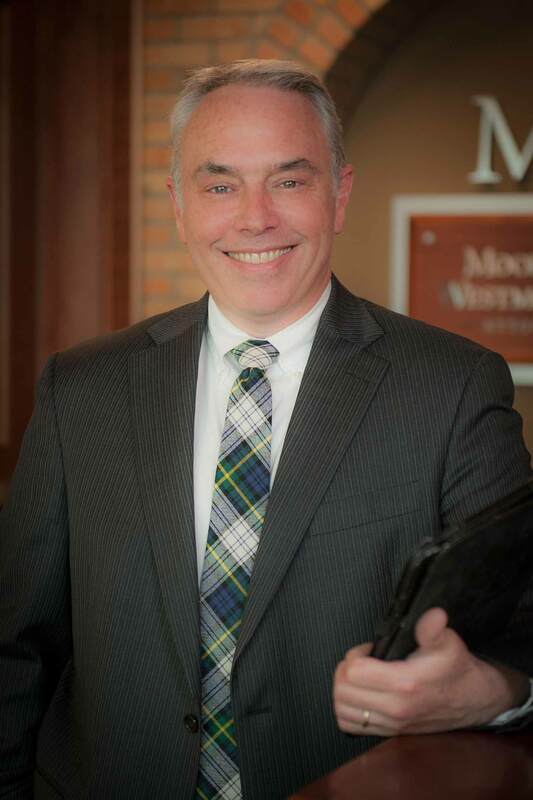 George Mead has been a part of Moore, Hill & Westmoreland, P.A. since 2002. University of San Diego School of Law, San Diego, California, 1996, J.D. University of Florida, 1987, B.A.